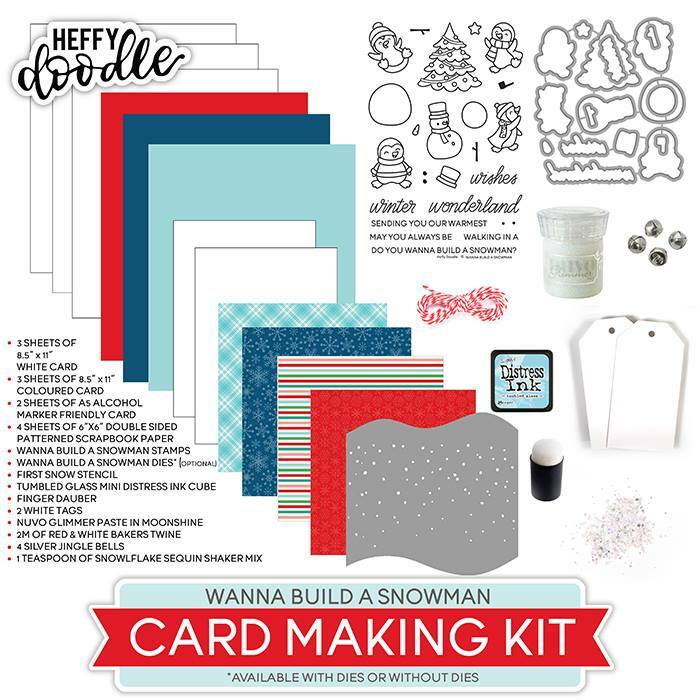 I am back today to share a couple of the cards from yesterday’s video where I did a walk through of the new Heffy Doodle Wanna Build a Snowman Kit. As they were only shown briefly in the video and I didn’t talk about how they were created, I thought I would cover a couple of them here today. I began by taking some of the patterned paper from the kit and adhering that to my base card with DST. I then took the stencil from the kit and traced the snow banks onto some white cardstock and then cut them with scissors (no border dies required). The top bank is popped up over the bank that sits flat on the base, so there is a little bit of dimension inside the card. The snow banks had to be trimmed a little at the sides in order for me to be able to get my double layer of foam tape around them, It also sits slightly higher up from the bottom of the card, again so I could get my foam tape around it. I then created the top panel by die cutting a rectangle aperture and securing acetate behind it. The images were then arranged inside the shaker and adhered with either DST or foam tape. The shaker mix was also added (so pretty as it has lovely snowflakes and little stars in it). Lastly, I put a double layer of foam tape around all four sides of the base panel and secured the top panel on top. Fortunately nothing falls out when you shake it! The greeting was created by colouring a strip of white cardstock with a Copic and then stamping the sentiment on top. I have to say, they are a lot of work but its really pretty now its done and it makes a lovely noise when you shake it! My second card was a lot simpler to make. 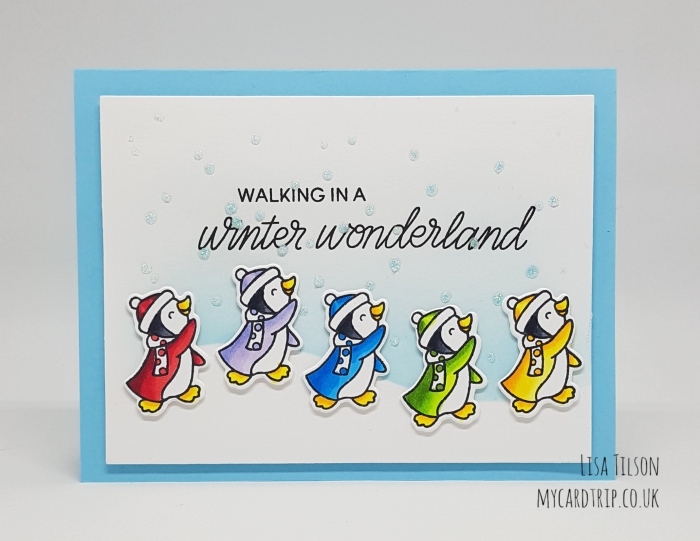 I thought the little penguin from the set really looked like he was marching and I envisaged a line of them walking along a snow bank in rainbow coats :). As you do. The images were stamped, coloured with Copics and die cut with the coordinating dies. I then took some white cardstock,trimmed it down and stamped the sentiment along the top using Versafine Onyx Black Ink. Next I took the stencil from the kit and applied Tumbled Glass Distress Ink (also in the kit) above the stencil to create my winter sky. I then cleaned the stencil off, laid it back down, and applied Tumbled Glass through the snowfall part and then the glimmer paste on top of that – it’s so pretty in real life as it looks like very pale blue twinkly snowfall. The images were then popped up with foam tape in rainbow order. The panel was adhered to a blue base card with foam sheet. That finishes the cards for today. And another two ready to be sent out! 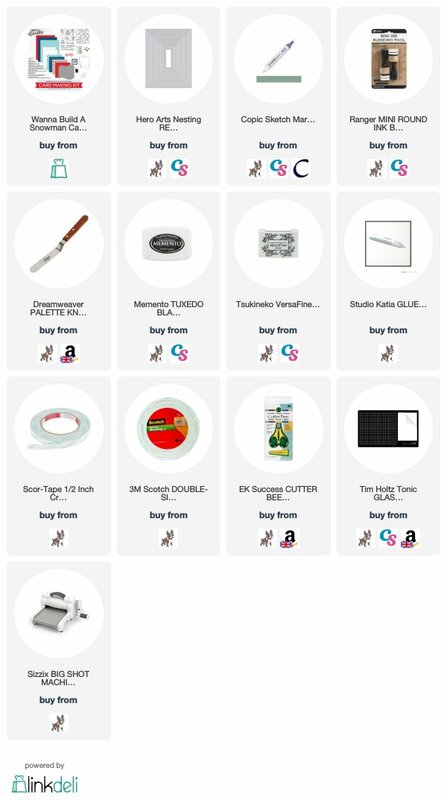 Thank you for stopping by, I hope you have a lovely crafty day. Great, fun, colourful cards. Fabulous colours, bright happy colour creatures, fun shaker effect. 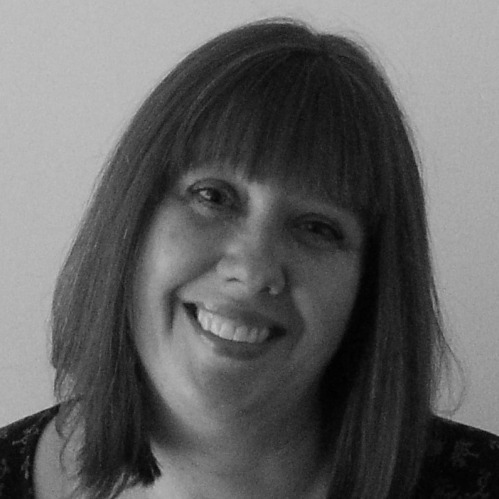 Enjoyed your unwrap of kit video also. Thanks Lisa. Nice kit. Love the rainbow penguins. So cute. That shaker card!!! Oh, Lisa!!! The colors and coloring are fabulous! You never cease to amaze me!!! Love ya!! !